Painting it black in my art studio. 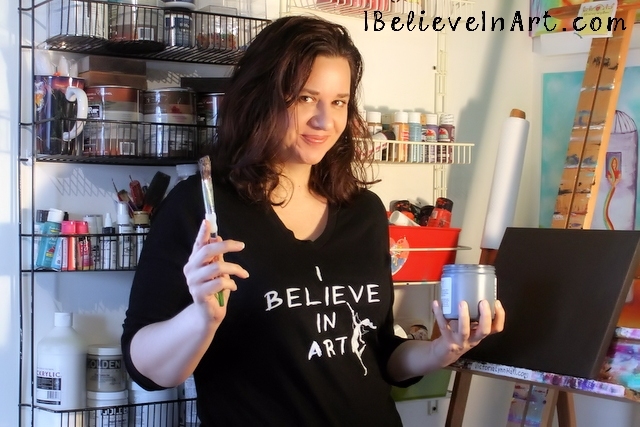 I Believe In Art T-shirt available here. I was out and about one day wearing my Art Fairy “I Believe In Art” T-shirt when someone asked me, “What does that mean?”. Uh-Oh Toto, I've a feeling we're not in the craft store anymore, I thought to myself. This was true, of course, because when I wear this shirt at the craft store people get it. They compliment it and give me knowing smiles and fist bumps and high fives (okay, maybe they don't actually give me fist bumps and high fives but they want to). Nobody at the craft store would even think of asking me such a question. Which, quite frankly, makes me not want to go anywhere but the craft store ever again. But I digress. I'm sure you're wondering what witty and insightful reply I gave to this person. As soon as the words left my mouth I realized how wrong they were. Fortunately this person was not offended by my ridiculous answer and moved on but I knew that it was a cop out. So for the next couple of days I thought about how I could have answered that question better. How could I have succinctly expressed why I believe in art, or what I believe about art, so that even non craft store people would understand? I believe that art can transmit joy. I believe that art can transform sorrow. I believe that art can change minds. I believe that art can heal hearts. 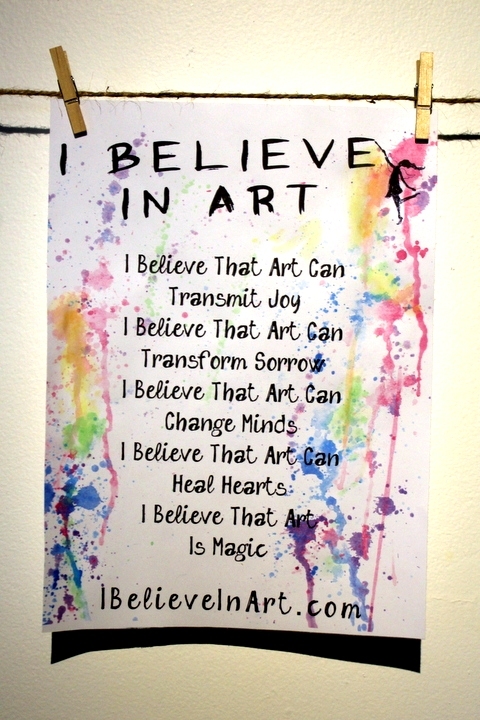 I believe that art is magic. If you would like to print it out for yourself (for personal use only), you can access it here for free, or help support this blog by purchasing a poster of it here. I guess I really owe a thank you to the non craft store person for asking what turned out to be an inspiring question and for reminding me that sometimes we meet our muses just outside of our comfort zone. 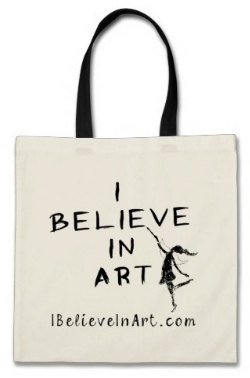 I'd love to hear your thoughts on what believing in art means in the comments below. 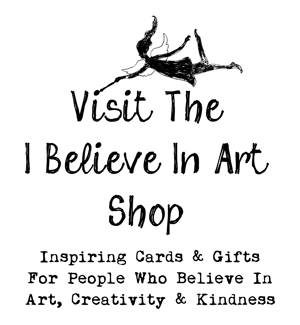 To learn what believing in art means to some other artists, check out my "I Believe In Artists" page. Victoria. You rock. Thank you for this. I do Wellness Therapy through Art and I always explain to the people that come for Therapy that Art in any form is the answer. I have a website www.rubyrembrandt.net to establish a platform for my art students and have escalated to some great artwork. All through the art of healing internal stress. Thanks for your encouragement Cilla and for all you do. All the best to you and your students!